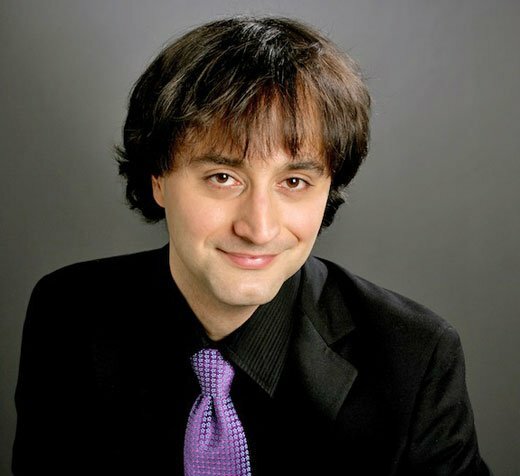 Israeli pianist Ran Dank delivered a concert-hall-sized performance in a chamber hall on Sunday afternoon at the Gardner Museum. So relaxed, so comfortable, the young pianist put everyone at ease, even as he savagely launched into the Chopin C-sharp Minor Polonaise, Op. 26, no. 1. There were huge sonorities and assertive melodies to follow and confident playing by a young artist who clearly loves to play. His was not an out-of-the-box performance. That’s meant in a good way. Dank’s playing is honest, straightforward, in service of the composer. In the case of Chopin, whose music comprised the first and shorter half of the recital, we heard works that pay homage to Chopin’s homeland of Poland, three early Mazurkas followed the Op. 26, no. 1 Polonaise in C-sharp Minor. Then one of the most popular of Chopin’s works, the famous Polonaise in A-flat, Op. 53. After a short intermission, Dank played Rzewski’s hour-long set of variations, The People United Will Never Be Defeated. There were no especially quiet moments in the Chopin. Where the first, proud theme of the C-sharp Minor Polonaise rises again, higher, before a tender, lilting fall in the major mode, some opportunity for intimacy—and weightlessness before being pulled back down—was sacrificed for the sake of projection of line. Where the music might have sighed, it simply sang. This was Chopin for a concert hall, not the salon. Dank chose a mix of three Mazurkas from the two earliest sets, Op. 6, no. 1 in F-sharp Minor, Op. 7, no. 2 in A minor, and Op. 7, no. 3 in F Minor, each rendered with a focus on producing soaring melodies, rich sounds, while expressing the many modulations (modal and tonal) and articulated dotted rhythms which abound in these little pieces. In the first mazurka, Dank made it clear that no other composer can produce the sounds that Chopin conjures—brittle, bright and proud. His “cello” melodies sang in the first Polonaise and the latter two Mazurkas, and the “droning” of the F minor Mazurka set just the right tone for that piece. After the pause, Dank wanted to say a few words about the Rzewski. Interestingly, he had a microphone. Though he surely didn’t need one in this setting, this was a small clue to his playing, an indication of how much he wanted to make sure he was heard. First, he assured the audience that the Rzewski is quite accessible. Then he compared the work to Beethoven’s Diabelli Variations (while others have compared it to Bach’s Goldberg Variations, in terms of structure), a gigantic set of variations that sum up a whole era, a century, even, of musical styles. Then he noted that the work is a set of 36 variations, with six “books” of six variations each. The sixth of each set of variations summarizes the previous five, while the last book summarizes all of the other sets. Variation 36 is like a “black hole, super condensed.” Then there is a return of the original theme with slight development. Before this return of the original theme, the composer offers the player opportunity to improvise a cadenza up to five minutes in length. Dank announced he was going for it and that it would be some relief after 55 minutes of written music, but the potential downside: he didn’t know what would happen. Finally, he let us know that the set was based on a Chilean protest song, and that the work also included references to and quotes from other protest or revolutionary tunes, by Brecht and others. He played the immense work with score, making the project more challenging in some ways than if he had played from memory. It was a really fun hour of listening. Dank established the tune with authority, a forceful opening “chant,” a jazzy triplet rhythm introduction of the whole melody (with an ear-friendly, short circle of 5ths “response” to the opening phrase) that has some nonchalance, as if it could be whistled. (But here I get ahead of myself, or ahead of the composer.) This is followed by more development of the theme in a thicker texture. It helped that the tune is relatively simple and easy to remember, given how far the variations proceed to venture in terms of style, sound, tonality (or lack of), and as potential homage to—or stealing from or both!—other 20th-century composers as well as Beethoven and Bach. And then we did get whistling in a couple of the variations! This too, honestly, took me back to spaghetti westerns. The 3rd book is jazzier than the others. Dank was especially adept at keeping a perfect rhythmic foundation in either hand, while freely exploring with the other hand, making much of this sound improvised while conveying an intricate construction and sound framework. Variations 21-24 were an absolute hoot! Variation 21, marked “Relentless, uncompromising,” caused gasps and a little chuckling. Variations 22 (and 23, marked “As fast as possible, with some rubato,” some intake of breath (ovation material, but we had far to go), with finally some relief in Variation 24. Dank’s cadenza began with lots of bass rumbling then exploding chromatic octaves, a triple-forte development of a theme, then more fireworks. All very Lisztian, quite a shift from what had occurred so far. For the final variation, a touch of poignancy, more jazz lilt, and a dramatic, defiant conclusion. The audience was on its feet. An amazing and brave performance, creating, I suspect, many new fans of both the pianist and the composer. His playing throughout was assured, confident, and appealing. There was not a lot of delicateness, but no affectation whatsoever. There was no excess display of sentiment, just perhaps a bit of self-indulgence in playing loudly in this setting. His playing was not showy (well, in the cadenza it was, but it’s a cadenza), but impressive. To navigate through these Rzewski variations convincingly is a huge feat of mental engineering and musical processing. (It’s also worth noting that Dank is currently working on a Doctorate with pianist Ursula Oppens, to whom Frederic Rzewski dedicated the work and who has a benchmark recording of the work). As to Dank’s whistling, that could use some work. Dank asked the rhetorical question of what one might play after the Rzewski, then offered up another Chopin Mazurka, Op. 67, no. 4 in A minor. The work, like the Rzewski theme, has a lovely little circle of fifths, a most excellent choice for rounding out the program. This was a marvelous recital. I have heard the Rzewski four times live–the first in a concert sponsored by the Fromm Foundation at Harvard. Rzewski himself played ; he was astonishing–simply tore the piano to bits. The audience was shattered. Then once with Urusa Oppens, and the next time with Steven Drury (at the Gardner). When I spoke with Dank after the recital, he was amazed that I had heard it so many times. It is under-performed. “The People United” is a masterpiece–a technical tour de force and deeply moving, as well. I wish Dank had mentioned that the composer of the song (Victor Hara) was a leader in the “neuva cancion” movement in Chile, and that he was killed by Pinochet’s forces. That background information adds more poignancy to the piece. Dank’s performance fused power and clarity–I wish the hall had been full. He clearly loves the piece, and it shows. I also wished every pianist had this piece in his/her repertoire. Rebecca, I envy you having heard the Rzewski live four times by the artists you list, including the composer! I only discovered the work this week. I was filling in for another BMI reviewer on short notice; I had a steep learning curve. I listened to Marc-André Hamelin’s performance online as well as Ursula Oppen’s and Stephen Drury’s and loved all three. I tried to read through some of the variations but that was mostly an exercise in futility, though I’ll keep at it. I’ve already ordered a DVD of the composer playing his Variations, as well as two other recordings, though I know nothing compares to hearing it live. I would travel to hear this work again by these artists you name, and I would travel to hear Ran Dank play again, this work or others. Have you seen an online (partial) analysis of the work by Keane Southard? I was especially fascinated with the short Appendix A where Rzewski provides a “temporal” framework for the piece. Given your clear passion for the Variations, I’m guessing that you would find it fascinating as well. A link follows. Thank you! Jim.